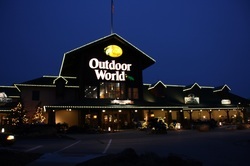 Holiday Lighting STL decorating professionals are trained to be the very best at their craft. 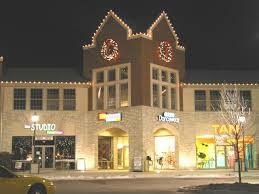 This includes the design and installation of holiday lighting and Christmas decor at commercial properties. When you use Holiday Lighting STL for all of your Christmas decorating and holiday lighting services you can be sure that your holiday lighting and decorations are installed by professionals in the safest and most efficient manner possible. Our professionals will install our premium quality lights and greenery that will keep your holiday crowds in the holiday shopping mood. From mom and pop stores to entire malls our decorators have the proper knowledge and design skills to get the job done right. Call us today at (314)722-8080 for your free estimate. We look forward to showing you our difference and earning your business. ​The holiday season is a very competitive for your business – by highlighting your storefront you immediately draw attention to the most important thing on the block- YOUR BUSINESS! Holiday decorating can dramatically improve the atmosphere around your business and set you apart from the competition. ​Why have people been decorating for the holidays for centuries? Because holiday decorations create a warm, comfortable environment. Attractive decorations grab customer’s attention and whether you’re in retail or leasing to others, customers aren’t in a hurry to leave a pleasing environment. ​Much like you, employees prefer a comfortable atmosphere at the workplace. The presence of holiday decor marks the beginning of a busy and enjoyable season for your employees. The boost in morale will be reflected in everyone's job satisfaction and your clients will definitely notice the positive shopping experience. Your employees are sure to thank you for going the extra mile to create a welcoming work atmosphere. Simply fill out the form below or call us today at (314) 722-8080 for more information.